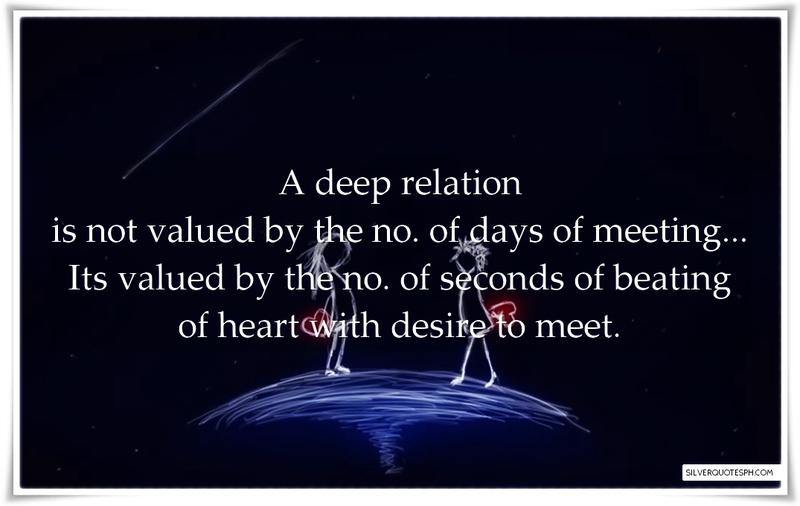 A deep relation is not valued by the no. of days of meeting... Its valued by the no. of seconds of beating of heart with desire to meet.